Learn about managing stress, the benefits of a support system, breaking down barriers, developing a self-care action plan, and changing thoughts to improve one’s life, through PIRS’s Life Skills Program. 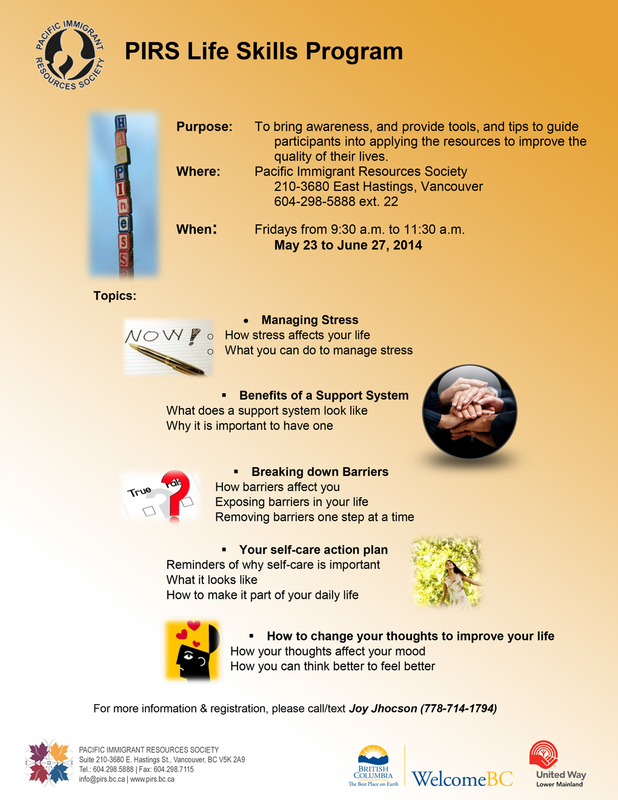 Sessions are conducted every Friday, 9:30 – 11:30 am, from May 23 – June 27, 2014. Read more by clicking here.